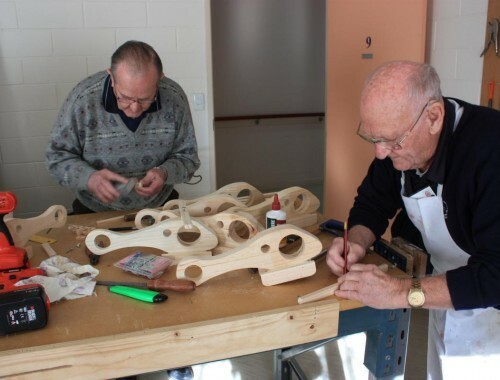 This workshop program provides men living within our three villages the opportunity to socialise, share life experiences and help maintain feelings of identity and self worth. It offers the opportunity to take on woodworking projects such as creating, sanding and painting items for sale. View some of the items available on our Merchandise section. The money raised will go towards the purchase of equipment and supplies. 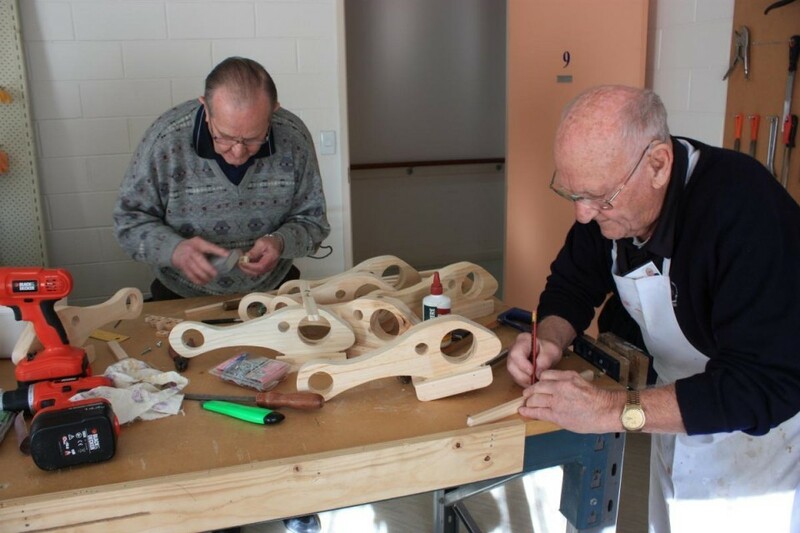 The Men’s Shed is well patronised by our male residents with the assistance of many enthusiastic and community minded volunteers. 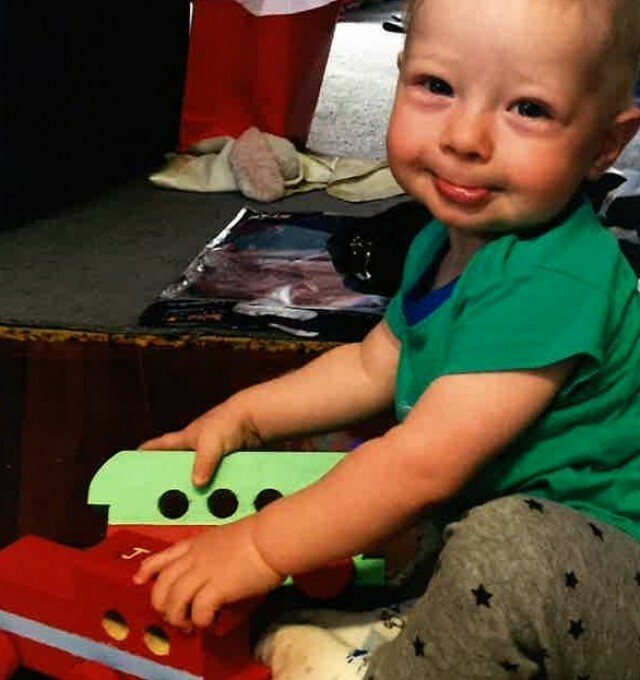 Men's Shed Wooden Toys Melanie Church of Cohuna and Tamika Nunn of Echuca sent in these photos of two very happy little faces playing with their new toys. 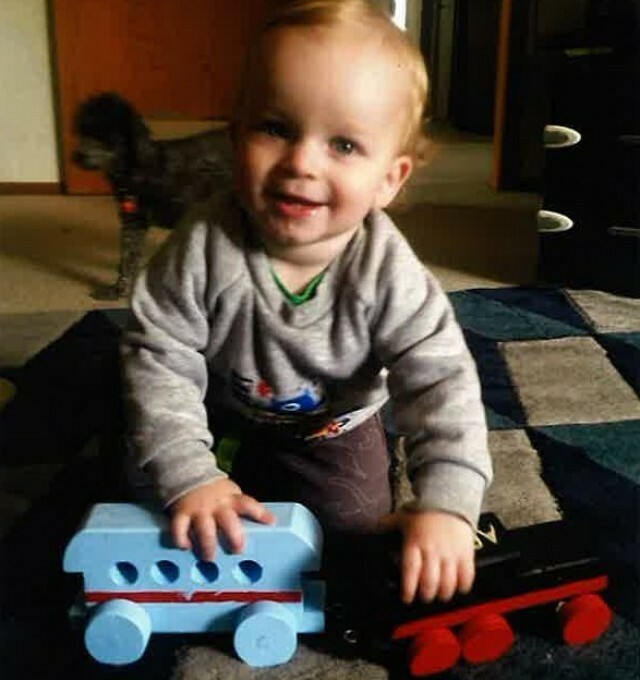 Children’s toys, as well as other woodwork items are available for sale from the Men’s Shed by contacting Kevin Grover on (03) 58 320800.